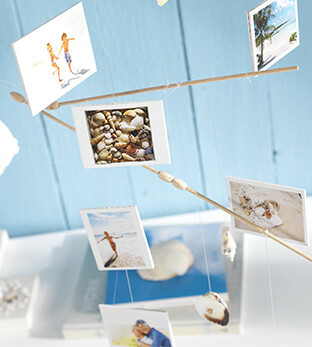 Relive the spirt of summer with the best of your holiday memories in a Pixum Photo Book reflect by creating and attaching a chain made from brown wool and shells you'vre collected yourself. A real eyecatcher for your next party. 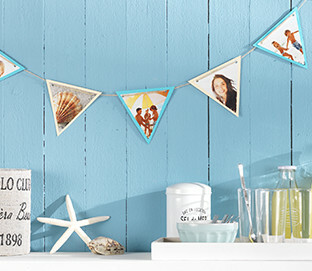 Take your favourite summertime images, cut them into triangles and attach them onto a piece of cardboard. Then, just attach them to a piece of cord and hang it up. Rejuvinate your old furniture with our photo poster poster stickers, which come in a range of sizes, and can easily be attached to your furniture, taken off and re-attached. 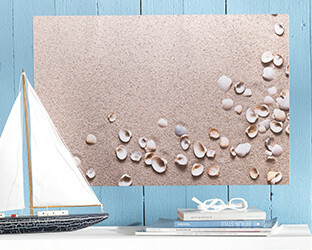 Find the shell picures in our Pixum Gallery! Whether as a curtain between living room and kitchen, a bit of decoration for your cupboard under the stairs, or simply as a bit of decoration. 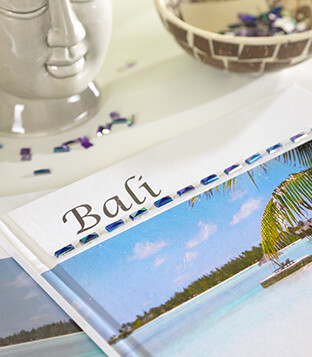 With postcards, a colourful bit of cord and a holepunch you'll have your own stylish bit of decoration in minutes. 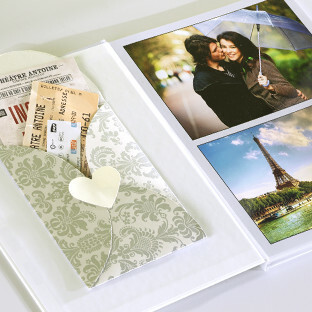 Not just a place for your most treasured travel photos, by sticking an envelope to the first page of your Pixum Photo Book and using it for tickets or other small sovenirs you turn this into a unique momento of your trip. A fun challenge for those who love making things themselves. Use our photo memory game, see-through thread and a set of stickets to create a personalised mobile with ease. Got a living room bar or are looking for an idea for your next garden party? 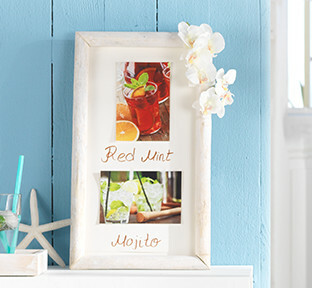 Take snaps of tasty home made drinks and create your own cocktail menu. Adds that finishing touch of creativity to your events. Breathtaking and original decoration for your wall created with ease. Affix a test tube to an aluminium print with a bit of glue and fill it with a bit of water and your favourite type of flowers. Use your origami skills to turn a photo poster of your favourite photo into a unique envelope. 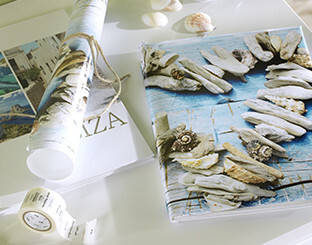 Then, use it to wrap up a fantastic Photo Book. Captain's log stardate... 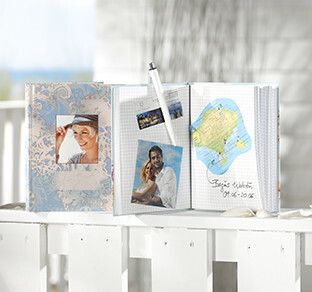 Even if you're not going THAT far away, a photo notebook is perfect for recording your journey, and a great momento on your return. 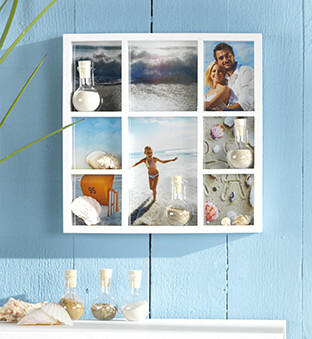 Decorate your own set of shelves for your collection of beach paraphanelia with the very best of your summer photos and make a great impression! With this personalised towel holder you're practically guaranteed (note: not a guarantee) a great start to the day. 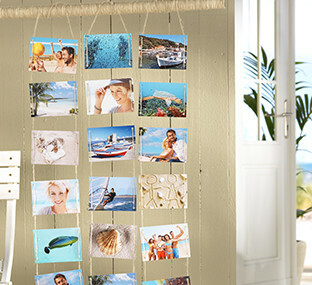 Simply screw on a couple of hooks onto a forex print and use it to hang up your towels! 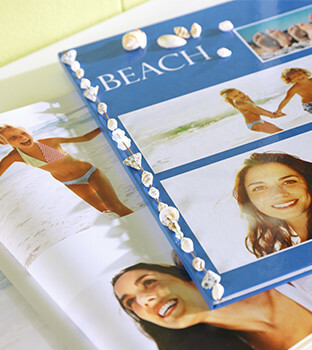 Make your Photo Book the jewel in the crown by attaching glittering stones and other things you have collected on the beach, giving it an even more elegant air! 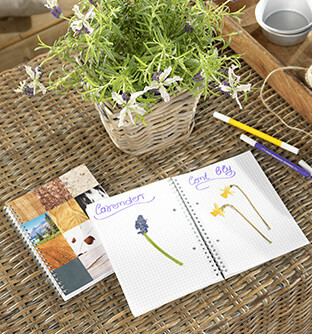 Use a photo notebook with binding with the correct colour and you can add plant that have been collected easily and important information can be noted easily. 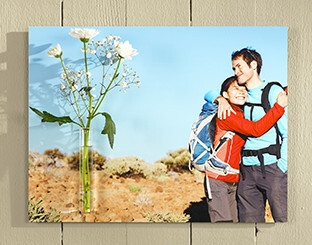 Want to create a wonderful bit of wall art but don't have a fitting photo? You're sure to find something just right in our gallery, whether it's for a poster, canvas or gallery print! 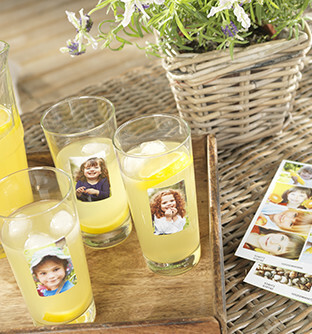 Stop other people drinking out of your glass with your own set of Photo stickers attached to the glass. That way, you can give a personal touch to the drink of everyone attending your party. 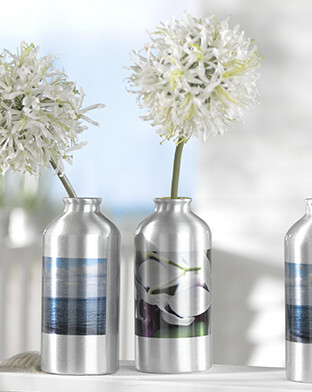 Use a water bottle as a stylish vase for your flowers. 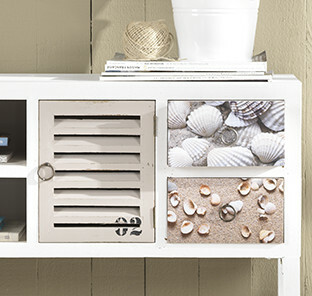 Add an appropriate picture and you will have a unique touch to and a unique talking point for your home!